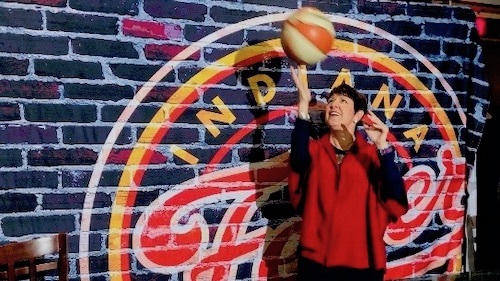 Today, we are excited to welcome Tiffani Bova to the Salesforce #dreamteam! Tiffani joins us from Gartner, where she spent 10 years as a VP, Distinguished Analyst and Research Fellow, helping both established and emerging technology companies shape their growth and apply customer and market trends to future sales initiatives. 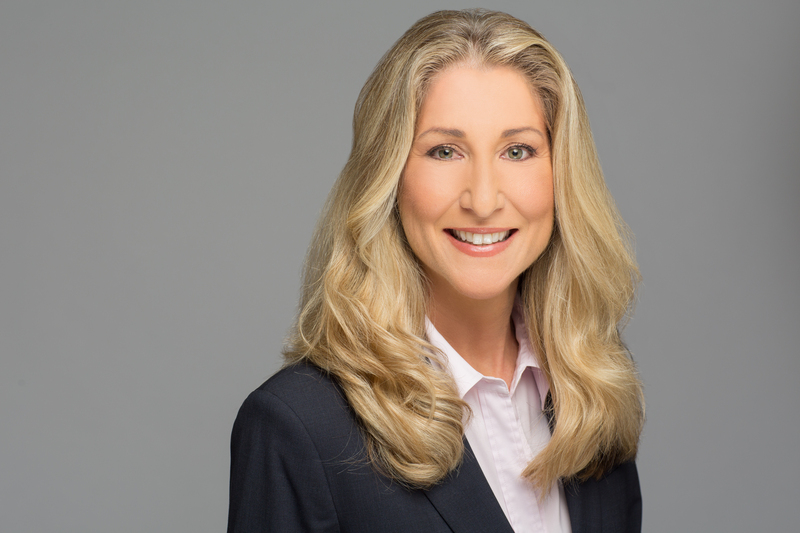 As Salesforce’s new Global, Customer Growth and Innovation Evangelist, Tiffani will use her extensive knowledge of sales, channels, CRM and industries to help Salesforce customers improve sales performance and enhance customer experience. Last week, I had the opportunity to chat with Tiffani about why she joined Salesforce and what she’s looking forward to in her new role. See below for the full Q&A! Vala Afshar: Why did you join Salesforce? Tiffani Bova: After 10 really amazing years at Gartner, it was time to think about the next step in my career. 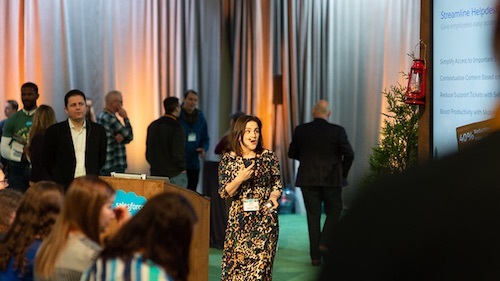 Salesforce offered me a great opportunity to evangelize sales and innovation to the market and their customers — and it was something I just couldn’t pass up. When you’re in the fourth or fifth chapter of your career, it’s important to make sure you’re going somewhere for all the right reasons. I wanted to go to an organization that is making a difference from both a business standpoint and, more importantly, from a social standpoint. With initiatives such as 1-1-1, I really like what Salesforce stands for AND it’s one of the most admired companies in the world to work for. What about Salesforce was compelling? I was part of the cloud revolution when it wasn’t considered cool — back in 1999 — so this feels like a full circle moment. The difference is that businesses and consumers today are much more comfortable with technology and through that transition, customers have grown smarter and more powerful — something Salesforce realized and focused on from the very beginning. I thought the cloud was a compelling value proposition 15 years ago, but the market wasn’t ready yet for everything we were talking about technically — what businesses and consumers could do with something called the Internet. Now, Salesforce is at the center of the SaaS and cloud movement, with impressive growth, great products and an amazing culture — what wouldn’t be attractive about joining a company like that? Having been an analyst for the last 10 years, how does it feel going to work for a vendor? I actually worked for technology vendors most of my career, starting as a bag carrying sales rep for startups and Fortune 500 companies, eventually working my way up through the management ranks and expanding from direct sales into an indirect channel program. Going to the analyst community was very different for me, yet an incredible learning experience to work with some of the smartest people in the business. Now, I have a much different perspective on what it means to work for a vendor and the difference companies like Salesforce can make with their passion for technology and bettering the lives of communities around the world. After spending 10 years as a responder to client questions, I’m now a full-time navigator of customer transformation. Salesforce has created a new position for me — I will be the Global, Customer Growth and Innovation Evangelist. My focus will be helping companies reimagine how they can not only grow bigger but grow better with innovative business models and technology. 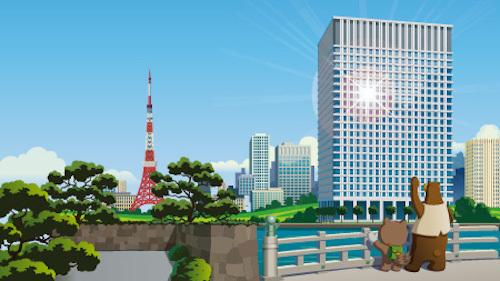 I consider myself a ‘recovering sales rep’ — I’m excited to meet sales leaders from some of the largest and most successful sales organizations in the world who are using Salesforce technology, to improve performance and enhance customer experience, in order to uncover best practices and insights which can be shared more broadly. I have spent the past 15 years as a channel chief and advising some of the largest technology companies on how to improve their indirect channel performance, and I’m looking forward to tapping into our huge partner ecosystem which supports Salesforce globally. I have always believed they are the tip of the spear of innovation for the collective technology community. As part of my new role, I will be working closely with the Salesforce Partner and Alliance organization, to champion the great work partners do for our joint customers every day. The best place to learn the realities of what is happening in the market, is to get in the field and see it through the eyes of your customers. How will you be helping customers? Salesforce is giving me the opportunity to go beyond sales and look across the entire landscape — at enterprises and small businesses that are looking for ways to accelerate sales and growth, remain relevant in a highly competitive market and develop strong experiences for their customers. Really, it’s not just about Salesforce’s customers, it’s about Salesforce’s customer’s customers. How can they use our technology to be more engaged and deliver better customer experiences? We want a complete view of how that technology is making an impact, from the first mile to the last mile of customer engagement. Where do you think Salesforce should be in five years? Everything Salesforce does touches the customer. So, think about the possibilities when Salesforce solutions are used by customers in a more integrated manner to help them have better experiences with brands. As Marc has said, it’s not the Internet of Things, it’s the Internet of Customers. The customer should be at the center of what every business is doing and looking ahead, that means doubling down on the investments that are being made today. What do you think are the top trends shaping the industry? Looking at it from sales and growth specifically, the biggest trend right now is how important customer experience is in developing and supporting a brand and improving sales performance. The customer decides when and how they want to interact with brands, and this impacts the way a companies sell to their customers. Big macro trends such as social, mobile, cloud, big data and IoT help create different experiences, but ultimately the customer is becoming far more disruptive than the technology itself and shaping entirely new industries. What are the top three apps you can’t live without? I’m on the road all the time, so all travel apps are key. Uber, American Airlines and any other apps that help me be more connected to the city I’m in — apps that can tell me where I am, what’s around, where I can eat, etc. I’m a big believer in work-life balance, so when it comes time to disconnect from work, my favorite phone feature is the mute button! Any other interesting tidbits we should know about? I was born and raised in Hawaii, so joining a company that has embraced Hawaiian culture in so many ways is like the stars aligning. I love getting the email communications about “Ohana” and seeing folks like Danny and Annie Akaka on stage at Dreamforce — this part of Salesforce’s culture is really fun. It’s great that this is where I ended up. Now I can have meetings in conference rooms named after all the beaches I grew up enjoying. For industry news and updates from Tiffani, follow her on Twitter at @Tiffani_Bova and connect with her on LinkedIn: https://www.linkedin.com/in/tiffanibova.